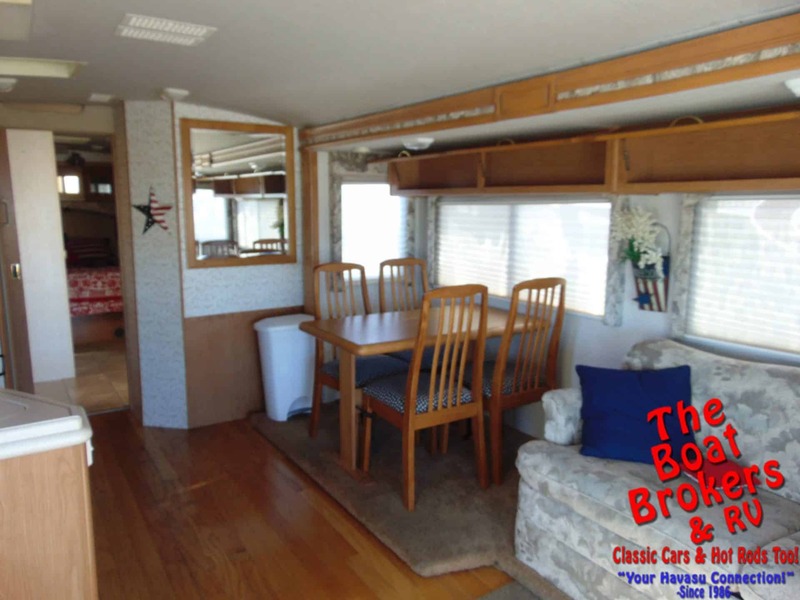 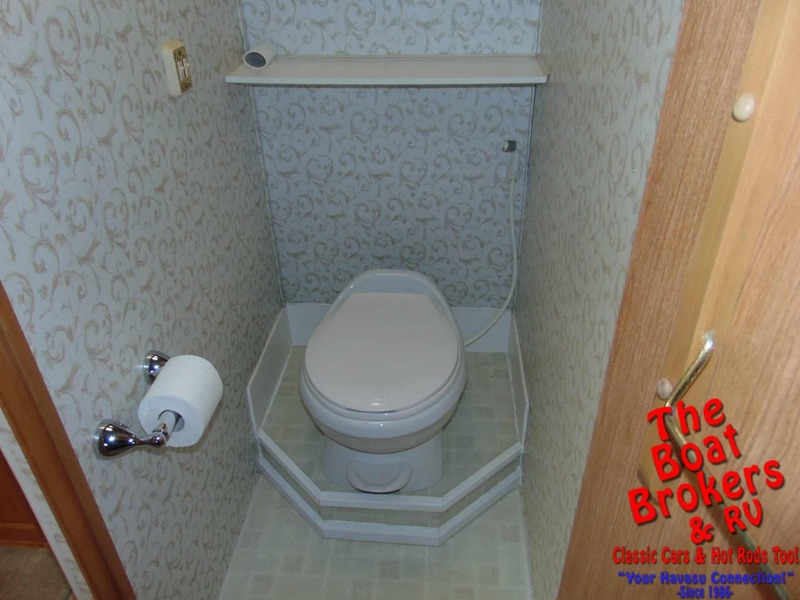 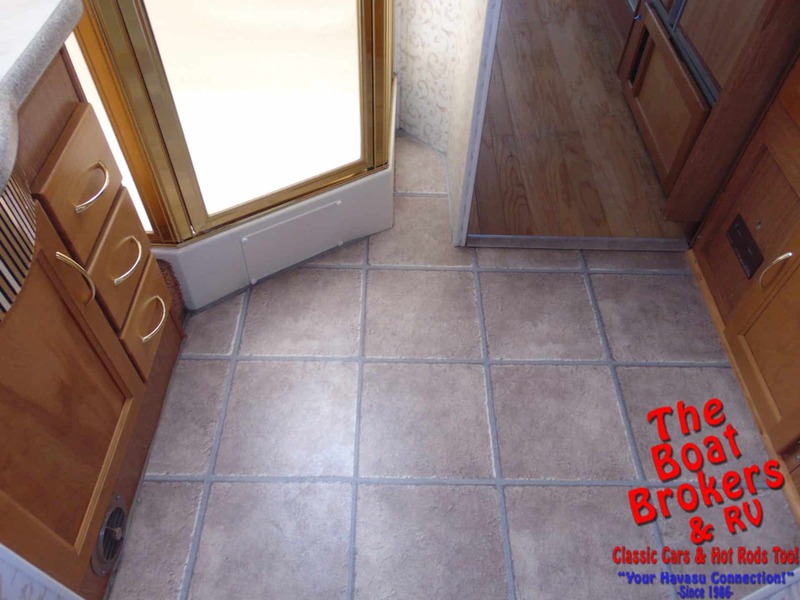 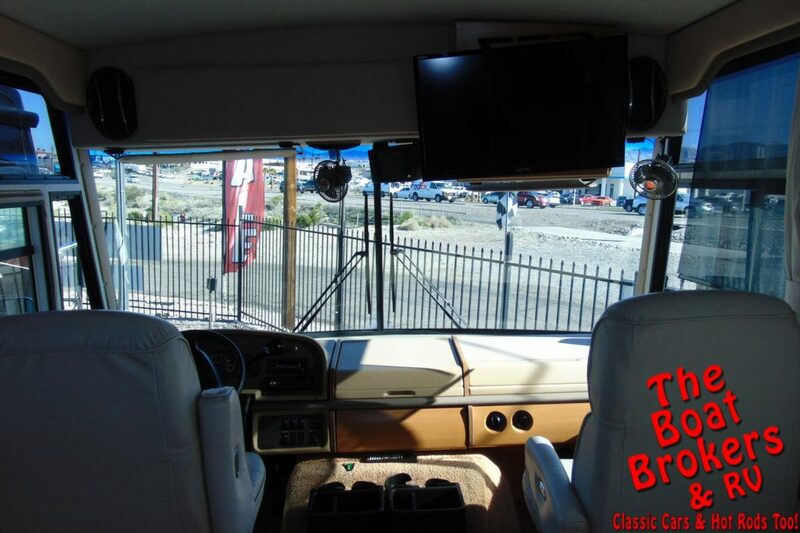 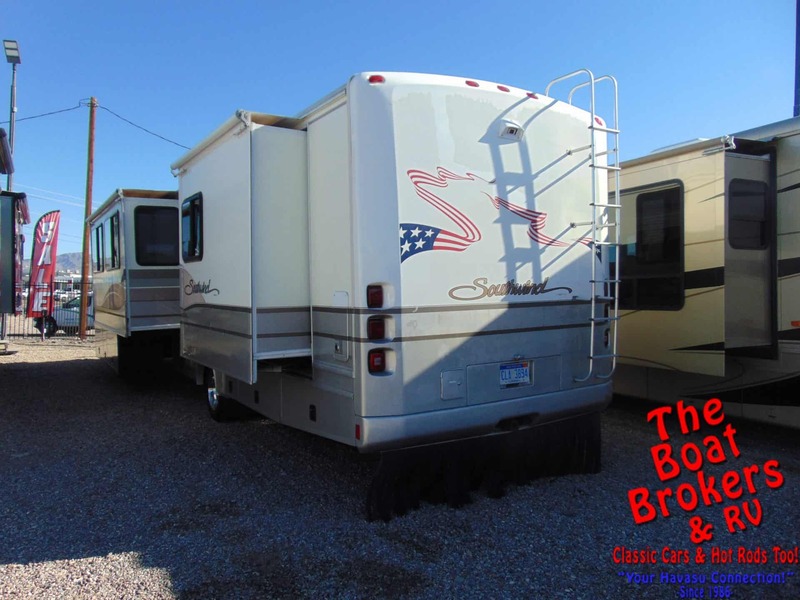 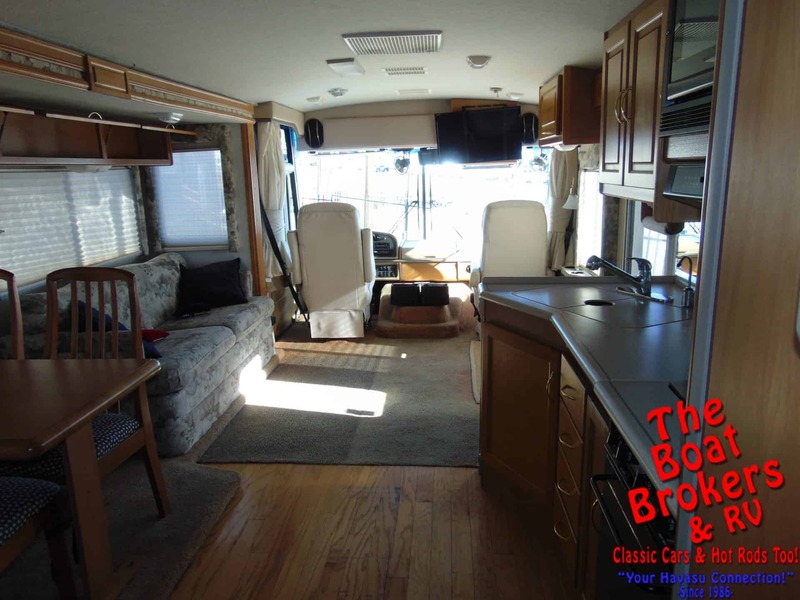 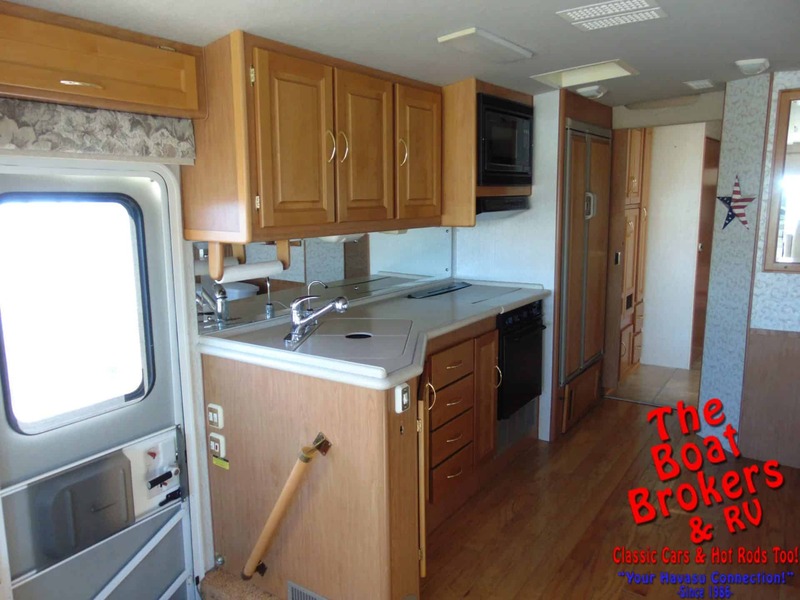 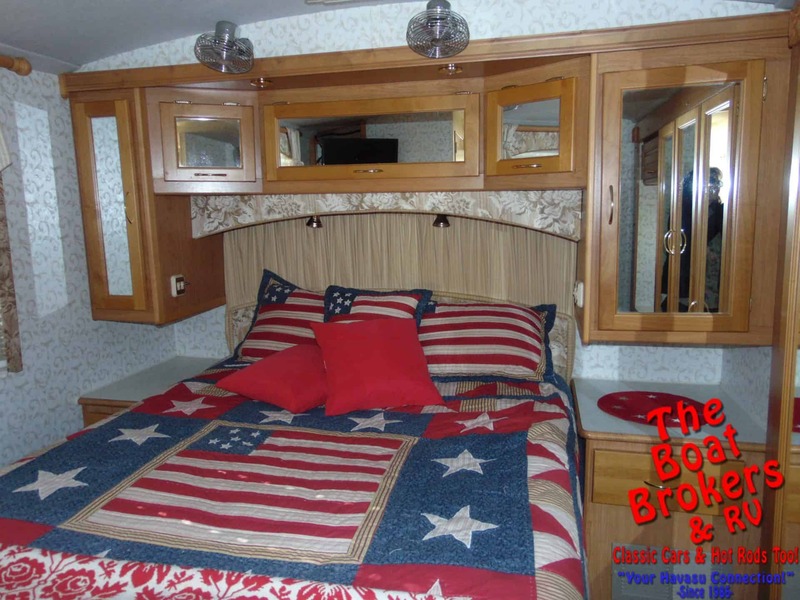 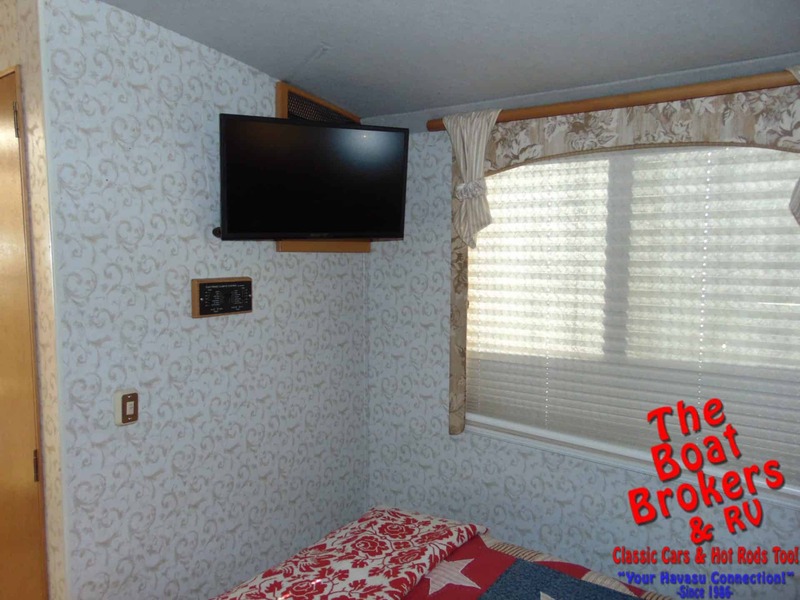 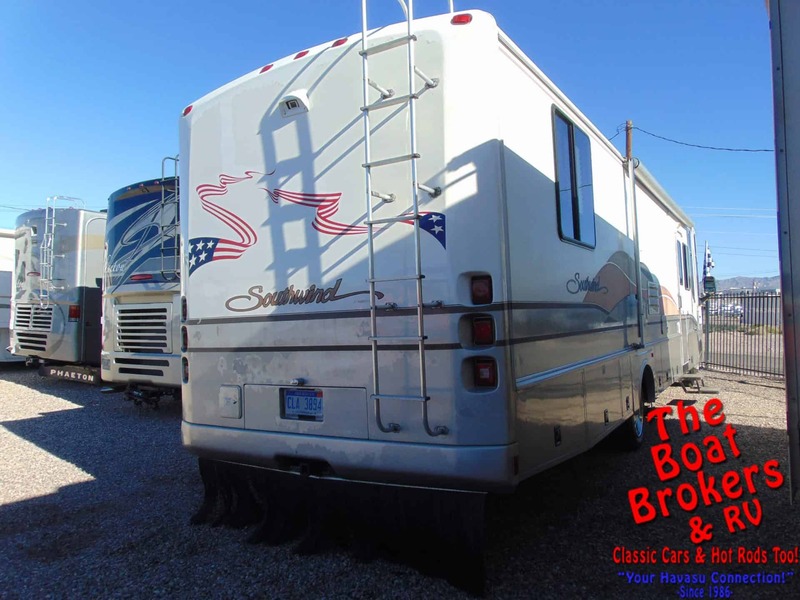 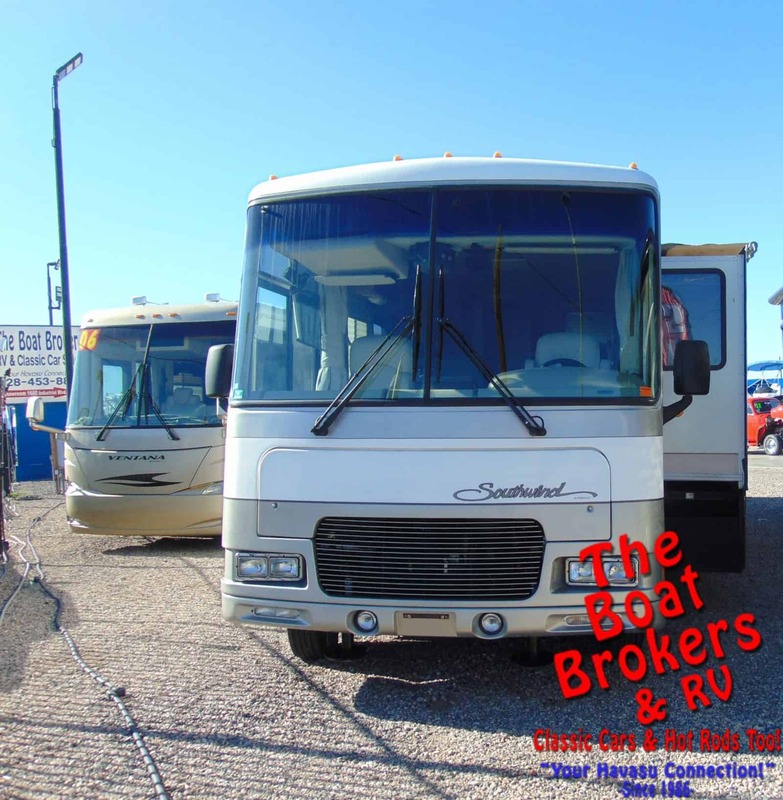 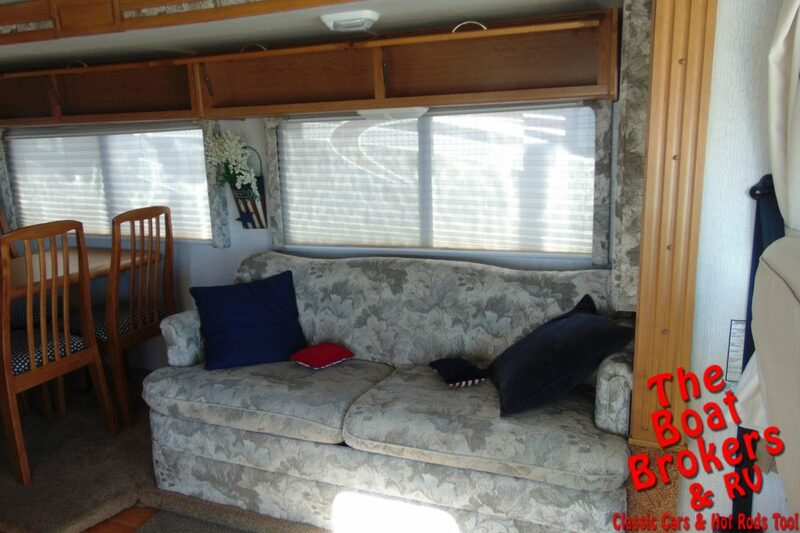 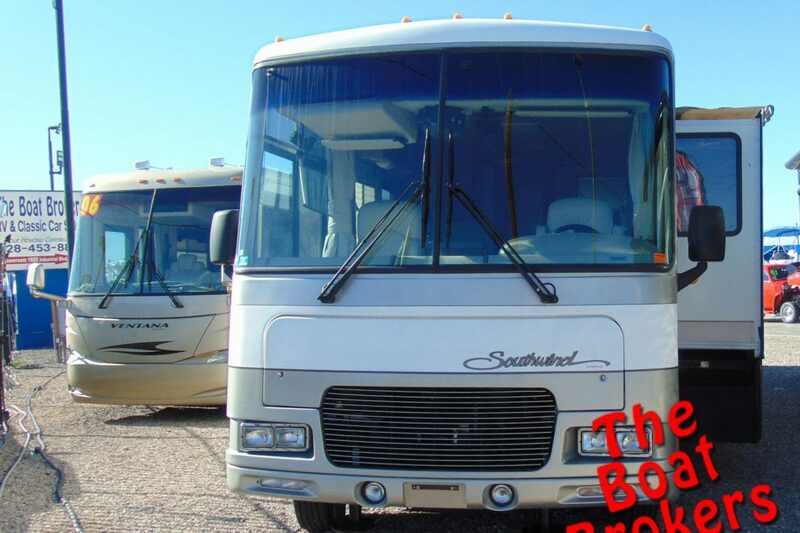 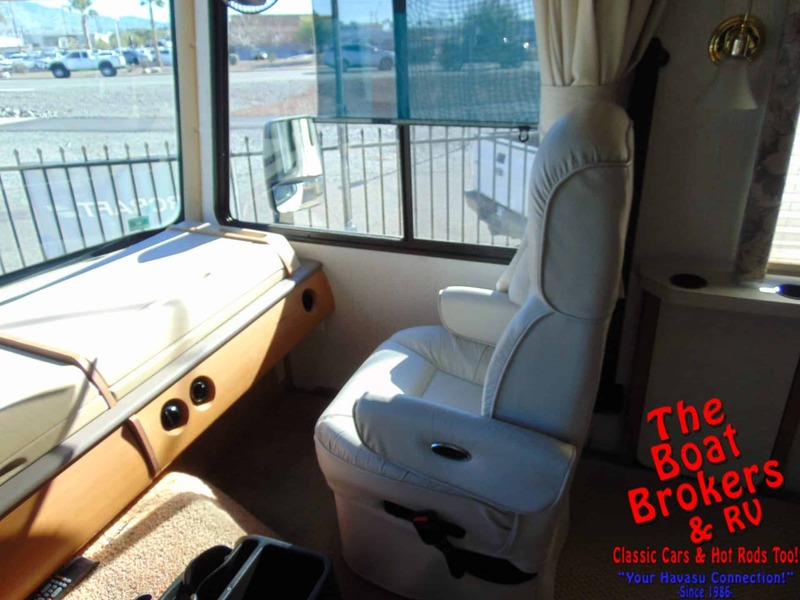 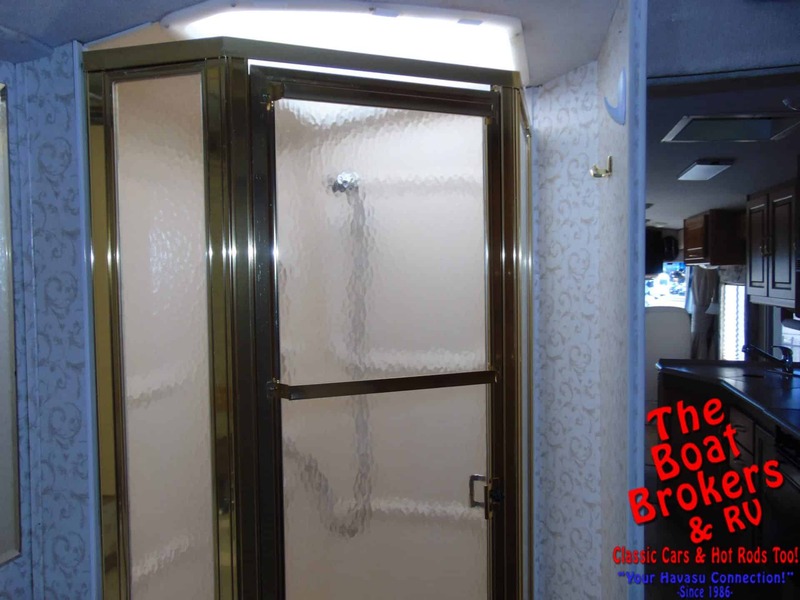 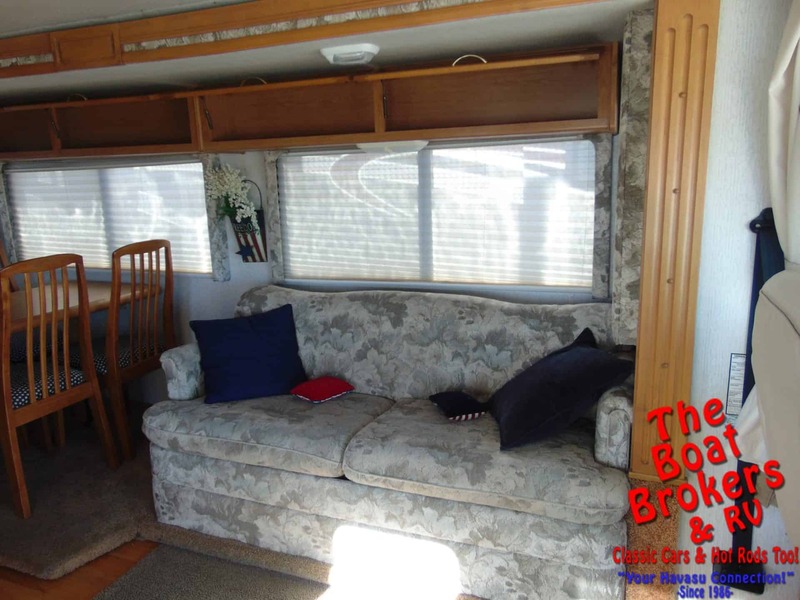 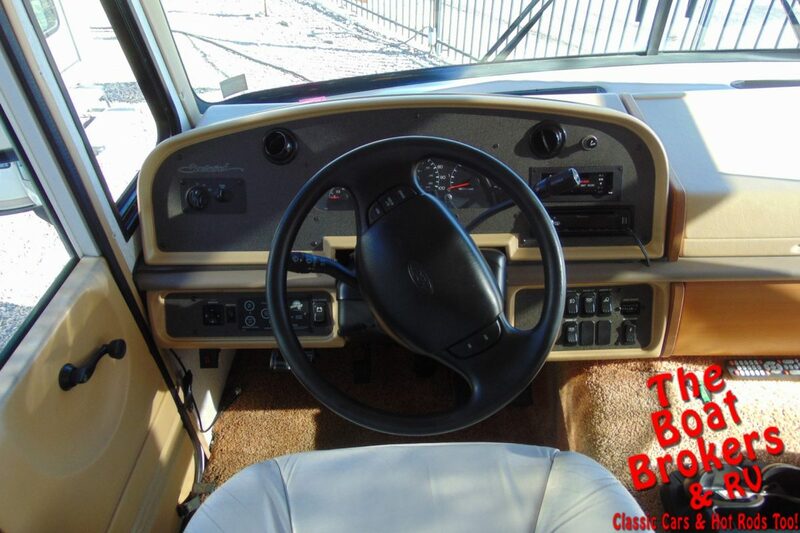 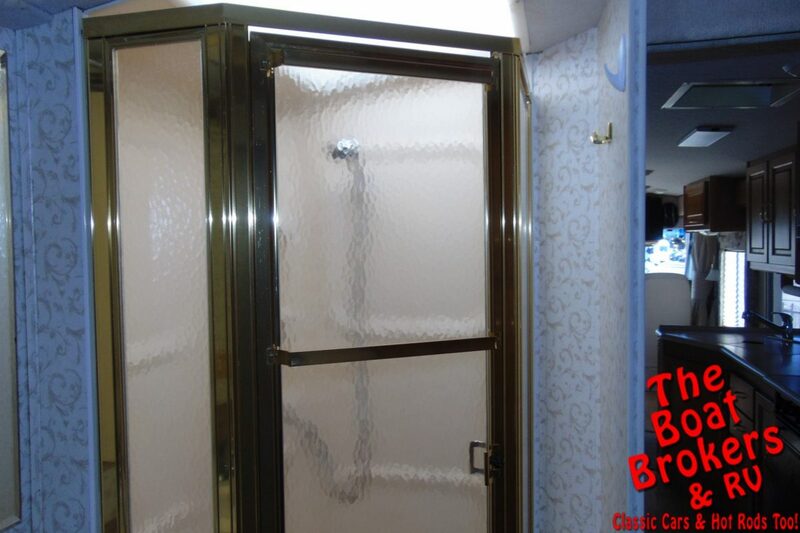 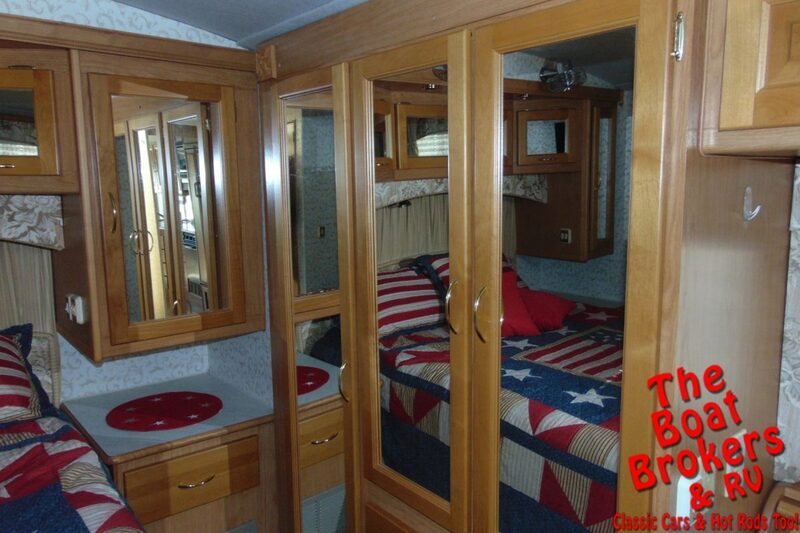 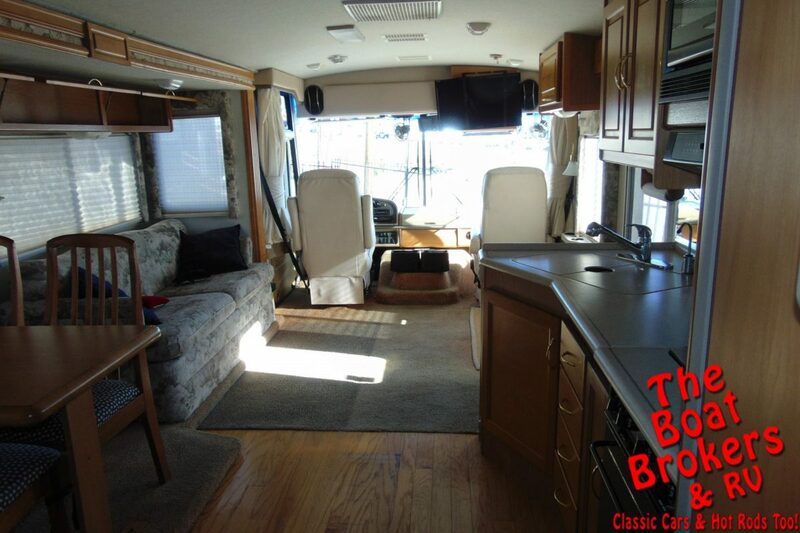 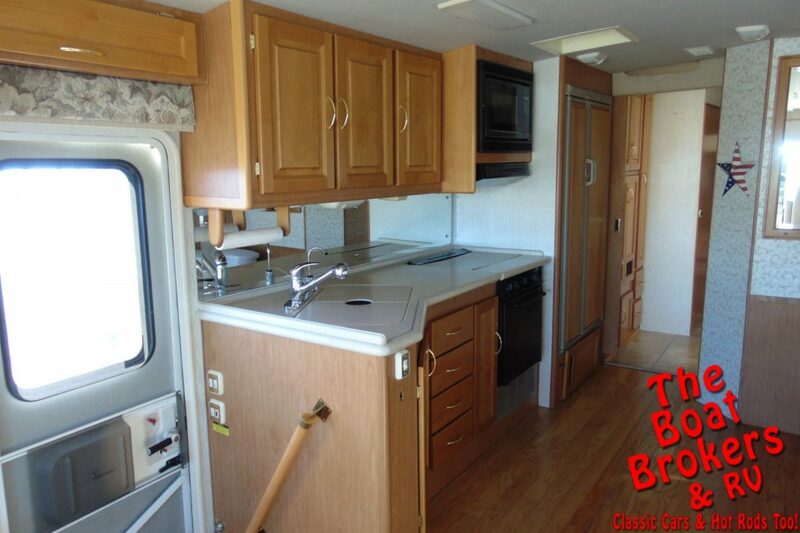 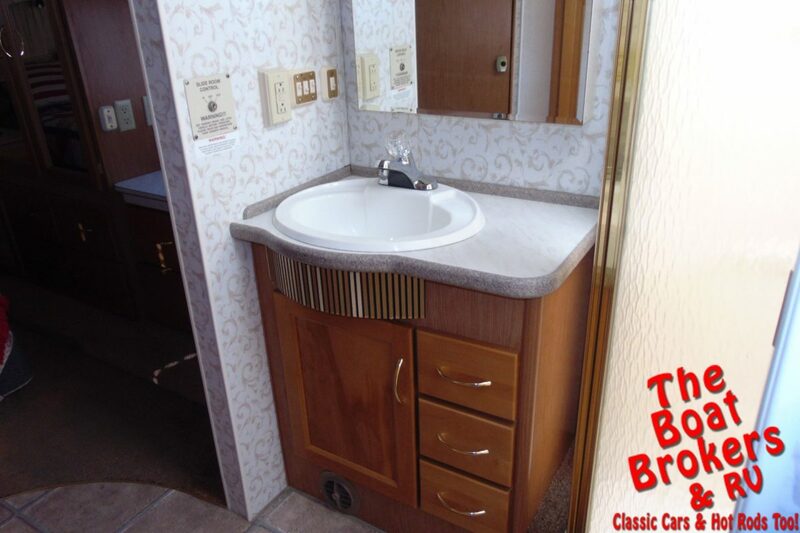 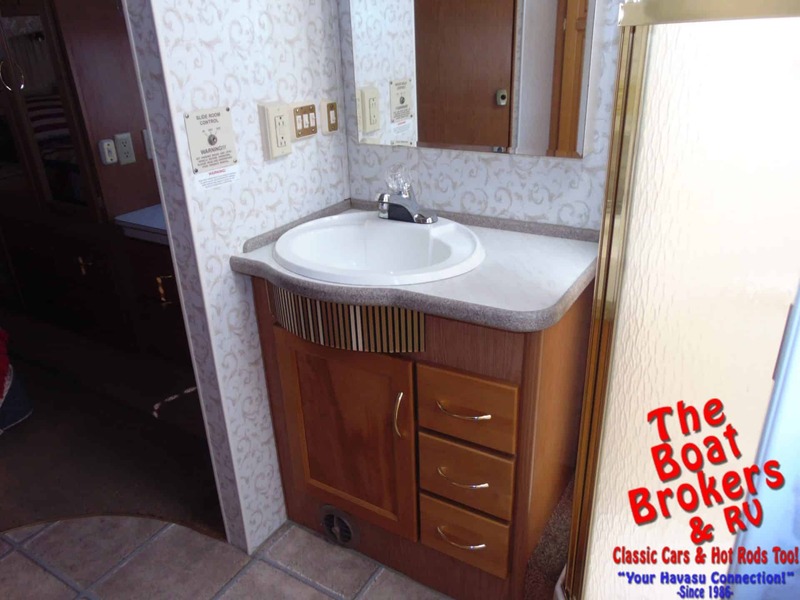 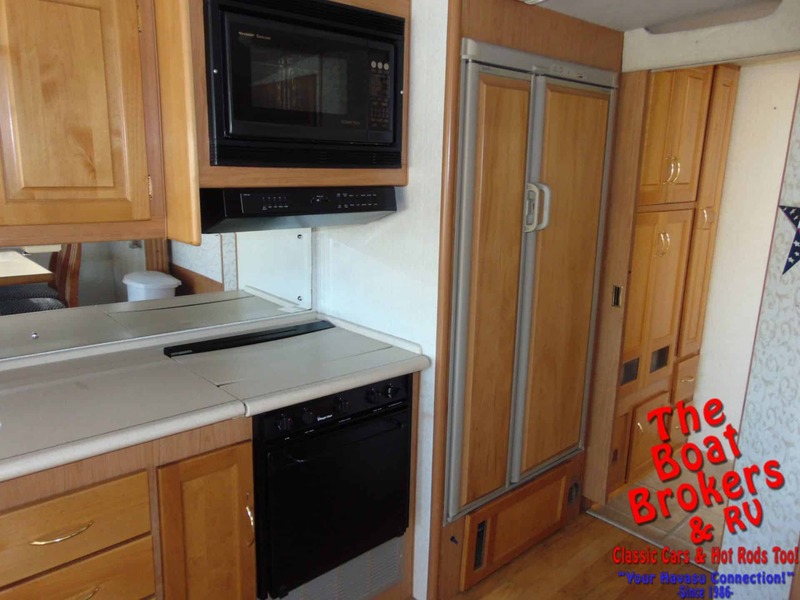 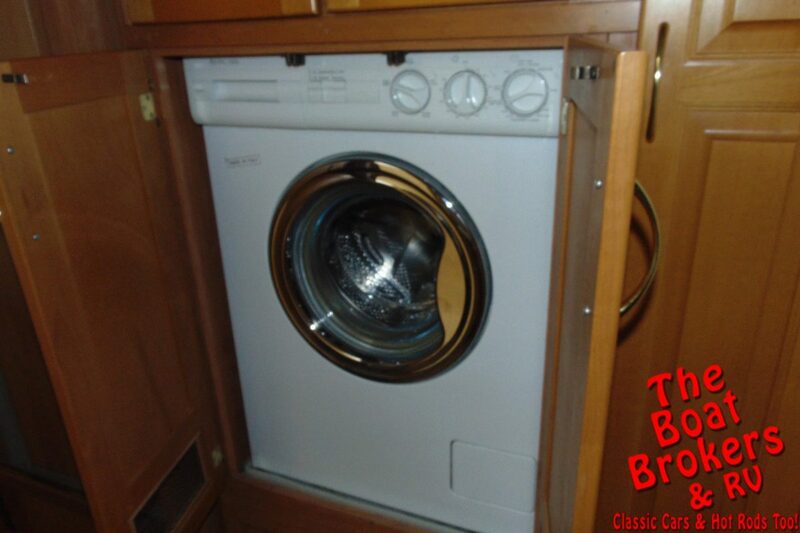 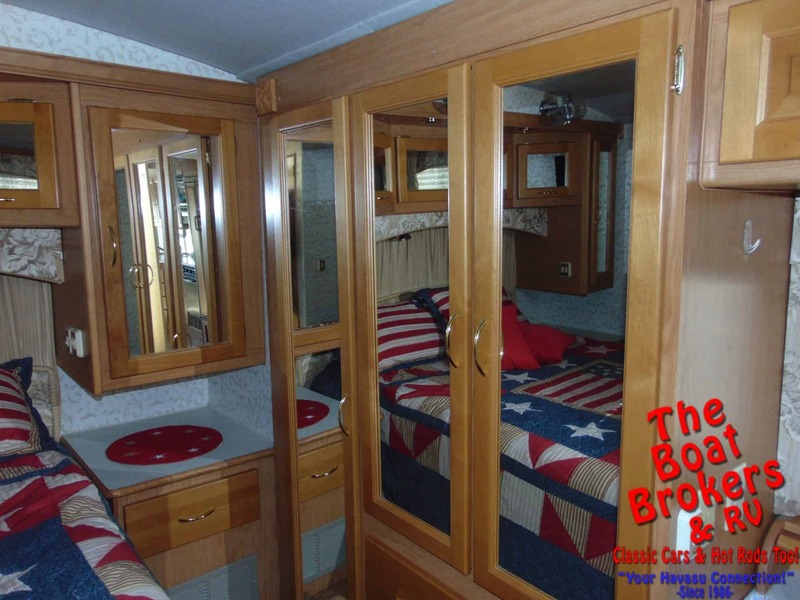 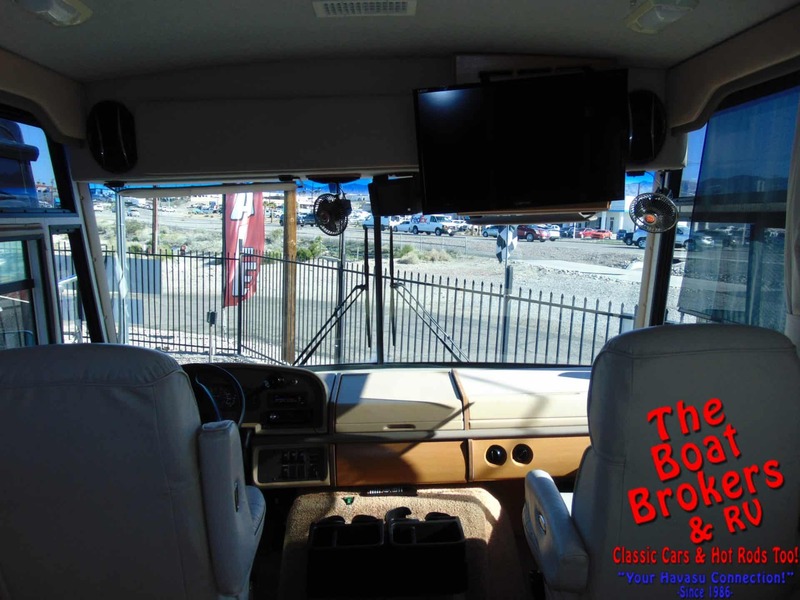 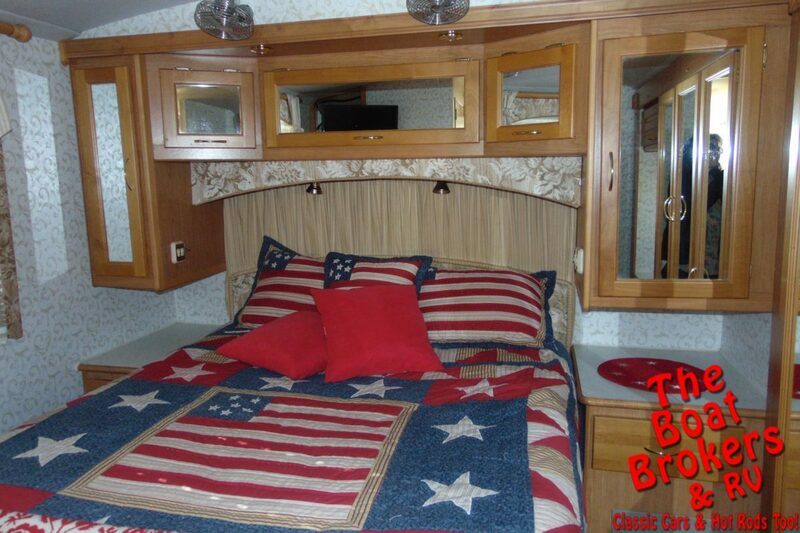 1999 FLEETWOOD SOUTHWIND 37′ MOTORHOME This motorhome is very clean with only 57800 miles and has 2 slide outs. 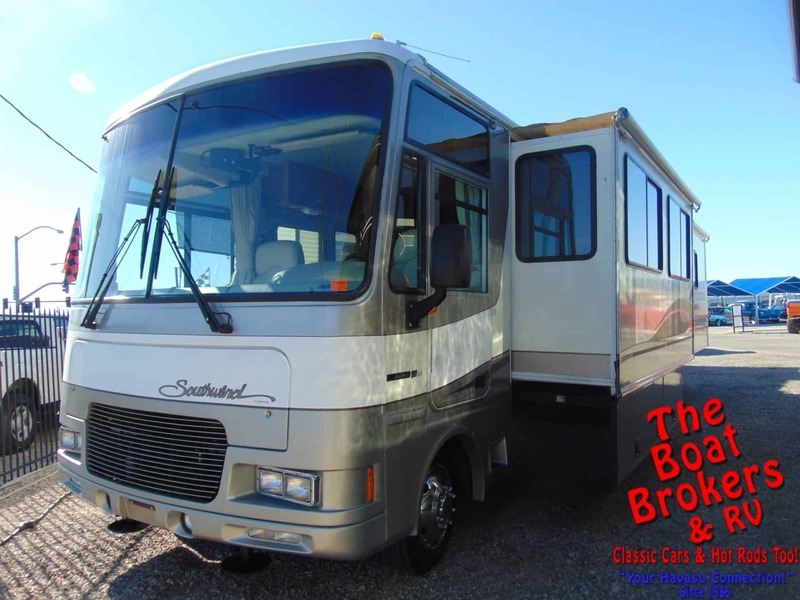 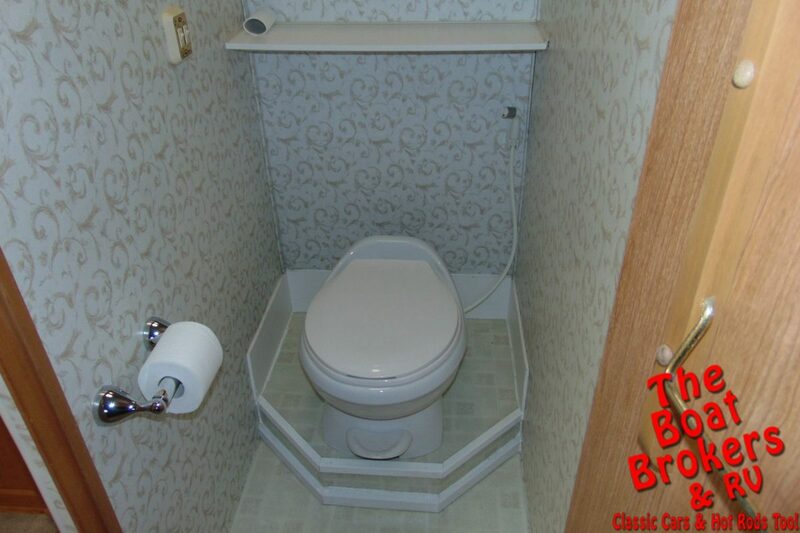 It has a V-10 gas engine, dual AC, satellite system, leveling jacks, walk around bed, stand up shower, fridge, stove, microwave, porcelain toilet, washer/dryer combo, upgraded TV’s, front safety steer installed, front and rear air bags, front and rear track bars, new tires with less than 4000 miles, new shore cord, new stereo with Bluetooth, USB, 4 speakers front & back, overhead fans in bedroom, new AC covers on roof, new fuel pump & voltage regulator on generator and new water pump. 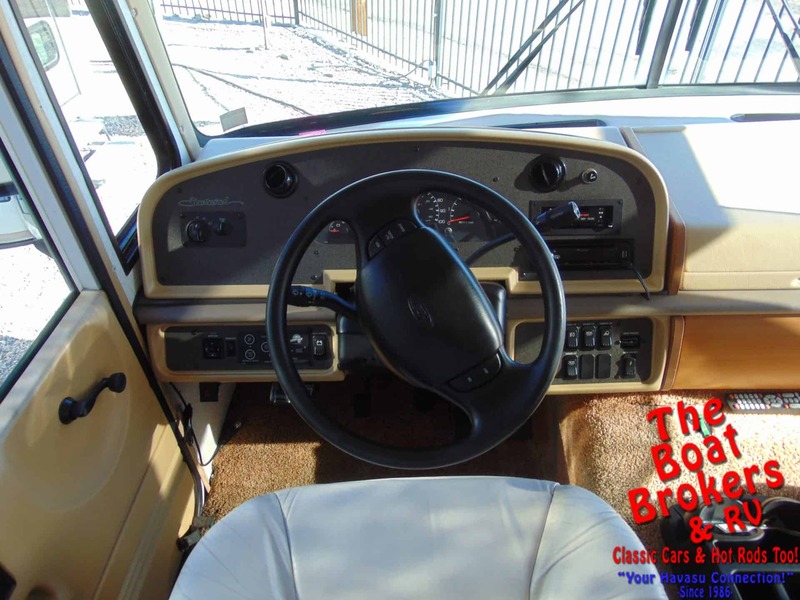 All ready for adventure!